Prime Minister Datuk Seri Najib Razak gives a speech during the International Wasatiyyah Seminar 2015 in Kuala Lumpur, August 18, 2015. 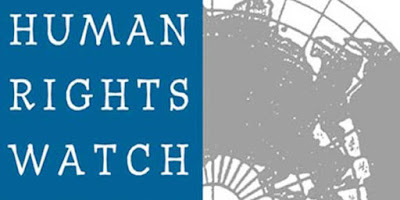 — Bernama picPETALING JAYA, Aug 18 — Human Rights Watch (HRW) challenged Malaysia today to withdraw from the United Nations (UN) if the government was not serious about upholding human rights for all. 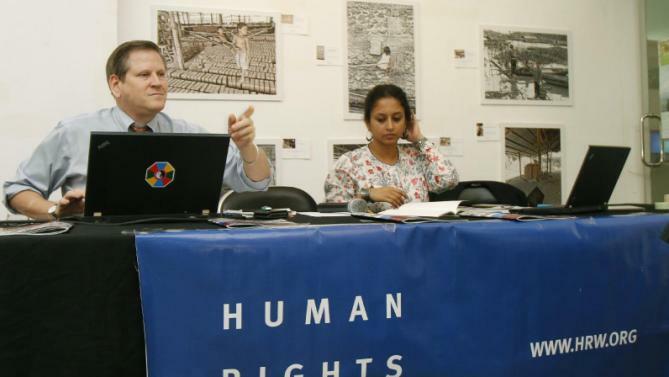 HRW’s Asia division deputy director Phil Robertson told a news conference here that he was shocked by Prime Minister Datuk Seri Najib Razak’s promise earlier today to uphold human rights only within the Islamic context. 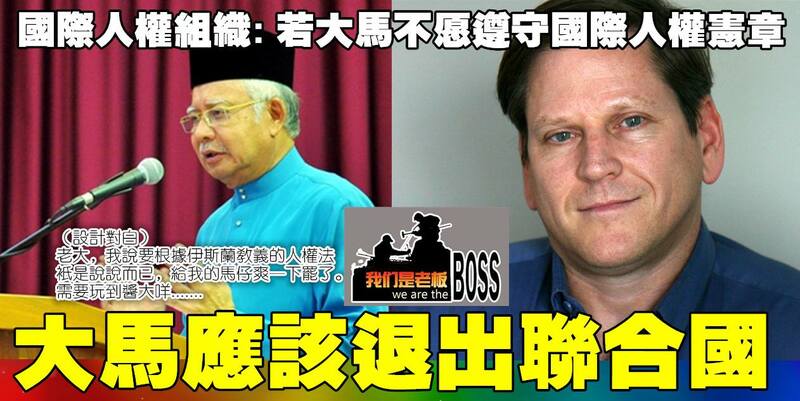 “The logical argument from that would be Malaysia should resign from the UN. Is Malaysia prepared to do that?” he asked. Robertson said governments only made such statements when they want to abuse human rights, especially if they face pressure from human rights activists. 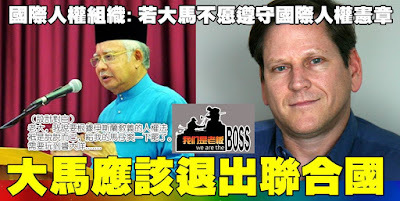 He said it was important for human rights advocates to continue piling pressure on Putrajaya so that the government will stick to its duty as a member of the UN and follow the Universal Declaration of Human Rights. At a separate function earlier today, Najib pledged that his administration will do its best to uphold human rights here, but only within the confines of Islam. 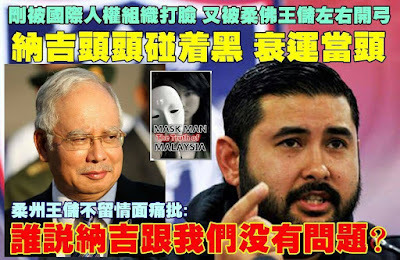 Najib said this was in line with the Islamic teaching of balance and wasatiyyah (moderation), adding that Muslim Malaysia cannot defend the more extreme aspect of human rights, citing lesbian, gay, bisexual and transexual rights as example. “Although universal human rights have been defined, we still define human rights in the country in the context of Islam and the Shariah. “And even if we cannot defend human rights at an international level, we must defend it in the Islamic context,” Najib told the International Wasatiyyah Seminar 2015 (Islam and The Younger Generation: Challenges and Hopes) in Bangi.